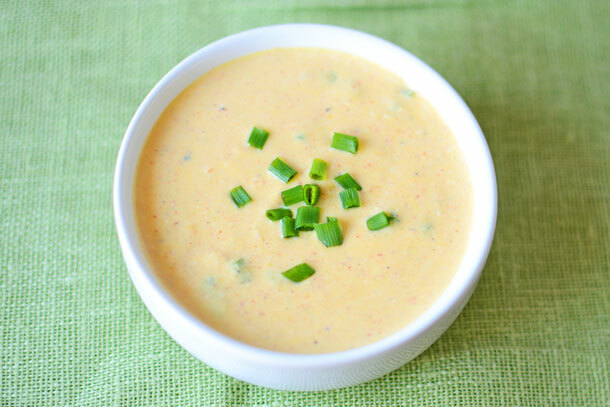 Light Hollandaise Sauce – If you’re anything like me, you LOVE hollandaise sauce, but you DON’T love all the calories and saturated fat. This recipe gives you a better option. It’s lightened up, and best of all, it’s all-natural! 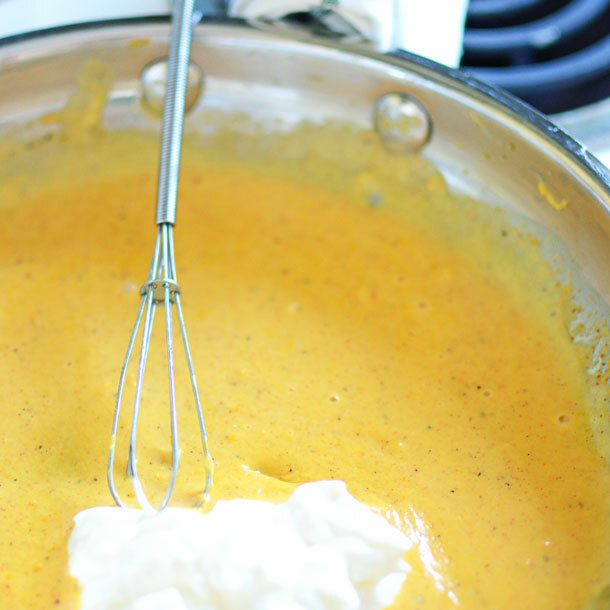 I’ve had a long-time love for hollandaise sauce with its creamy richness and pop of lemon. It’s no wonder that it’s so delicious, as it’s traditionally made with 3-4 egg yolks and nearly a pound of butter! 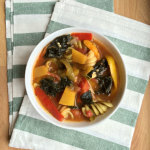 Such a sauce doesn’t belong on this blog, with its aim to provide seasonal, healthy (or at least mostly healthy) recipes. The “no hollandaise” thing is especially sad in the spring, when I start craving Eggs Benedict and asparagus drowned in Hollandaise goodness! 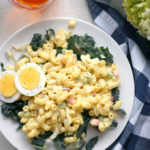 I recently decided to get creative and lighten up my hollandaise sauce, so that I can enjoy it from time-to-time without it being like eating a stick of butter. This was challenging, as the butter and the egg yolks hold each other together, forming the body of the sauce, not to mention the creamy richness. In my recipe I ended up replacing almost all of the butter with olive oil, sour cream, and water. 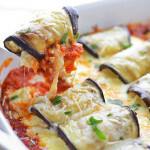 The end result was an all-natural sauce that’s still rich and creamy, but much lower in saturated fat and calories! 2. Beat in your lemon juice, lemon zest, paprika, salt, and pepper. 3. Add 1/4 cup of water to the pan and bring to a gentle simmer while continuously beating. 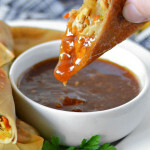 Once you have reached a simmer, remove your sauce from the heat. 4. 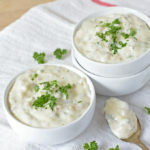 Once the sauce has stopped simmering, whisk 1/4 C sour cream into your mixture until evenly combined and there are no lumps. 5. 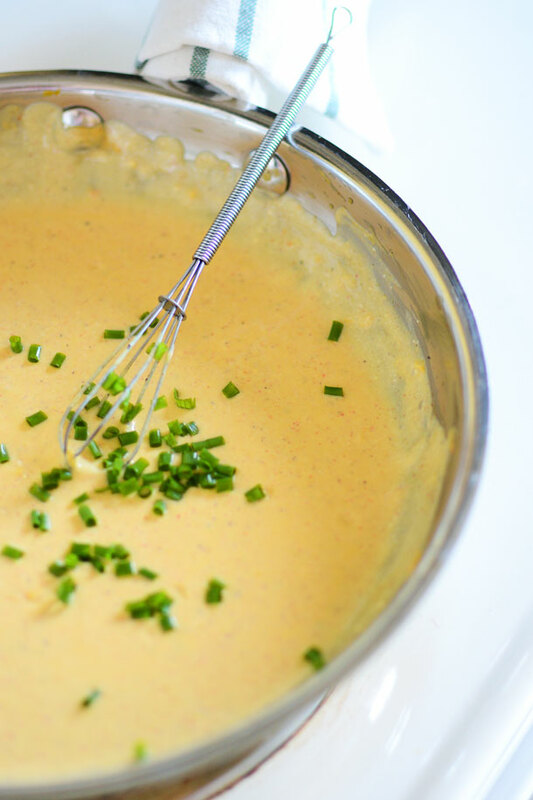 Garnish your Light Hollandaise Sauce with chives and you’re ready to serve. This is delicious on my Spinach Potato Cakes with Parmesan. Serve on eggs. This is most delicious on poached and sunny-side up. 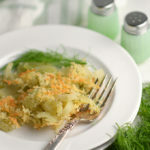 Serve on top of cod fish cooked in a 350º oven with steamed broccoli. 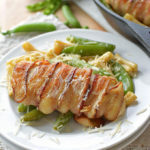 Sauté one bunch of asparagus with 1 tsp olive oil, add salt and pepper to taste, and top with hollandaise. If you're anything like me, you LOVE hollandaise sauce, but you DON'T love all the calories and saturated fat. This recipe gives you a better option. It's lightened up, and best of all, it's all-natural! Beat in your lemon juice, lemon zest, paprika, salt, and pepper. 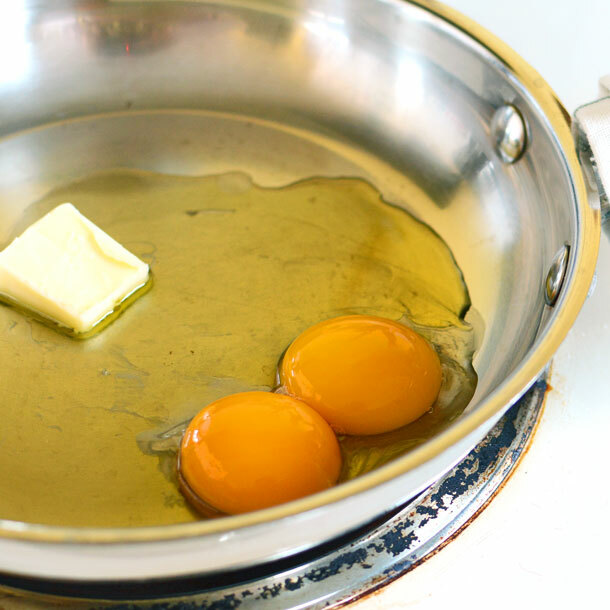 ￼Add ¼ cup of water to the pan and bring to a gentle simmer while continuously beating. Once you have reached a simmer, remove your sauce from the heat. 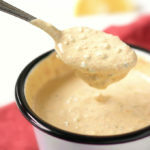 Once the sauce has stopped simmering, whisk ¼ C sour cream into your mixture until evenly combined and there are no lumps. 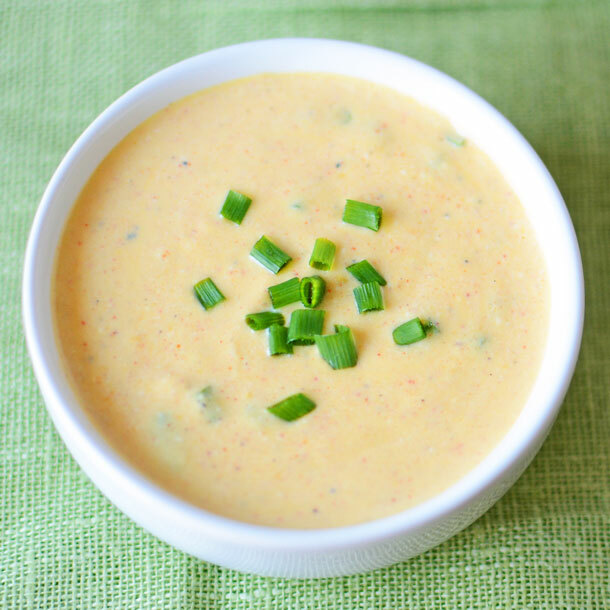 Garnish your Light Hollandaise Sauce with chives and you're ready to serve. Yum! 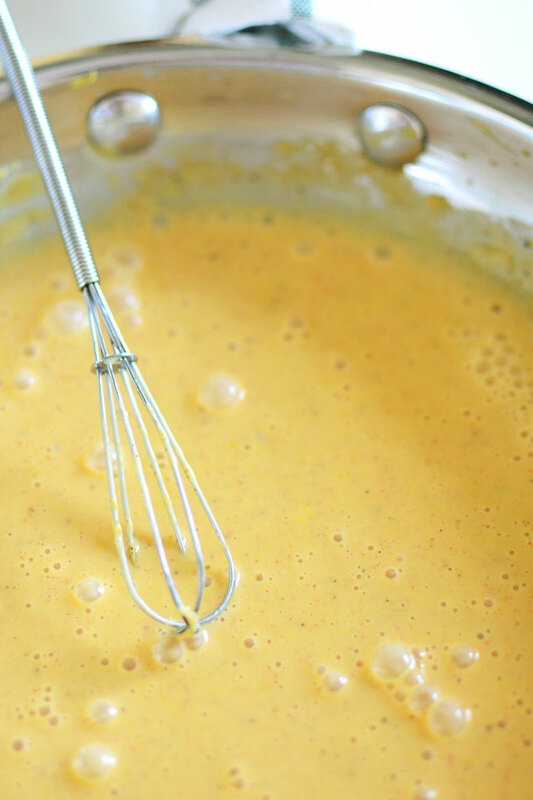 I love hollandaise sauce so I will have to try your lightened up version! Thanks for sharing dear! Thanks! With trying to eat healthier, I’ve found that some things are just too good to completely give up! This is awesome! Sure don’t feel deprived with this sauce!!! Thanks Carol! 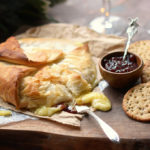 I’m happy to hear that you enjoyed this recipe! Hi! I was wondering how well this sauce saves and re-heats? Any tips? 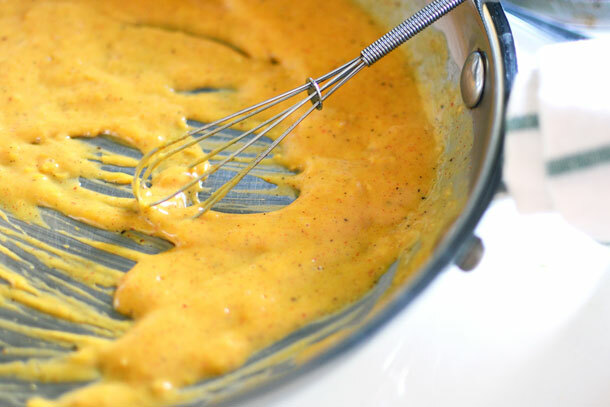 Honestly… hollandaise isn’t the best reheating sauce. Have you ever had hollandaise off of a buffet? It gets kind of weird. If you need to make it advance because of a time crunch I recommend reheating it slowly while constantly stirring. If it’s too think add a little water, one teaspoon at a time, until you reach the right consistency. This is good, but it’s VERY lemony. I’ll probably half the juice next time. I did’t use zest either. Just a warning to those who don’t want a strong lemon flavor on their eggs. It would however be excellent with fish! I’m sorry to hear that your hollandaise turned out undesirably lemony. I do like a hollandaise sauce in which some lemon shines through, but when I’ve made this in the past I wouldn’t characterize it as being “strong,” so I’m guessing we both had some variance in our lemons. As it is with cooking with fresh ingredients, flavors can change based on the freshness and time of year the produce was harvested. Thanks for the heads up for other readers! Thanks for letting me know that this recipe work out for you. I LOVE hollandaise too!